Today, there is considerable legislation to replace conventional internal combustion engine vehicles operating in busy cities with electric powered alternatives that eliminate local emissions and reduce noise nuisance. These advanced modes of public, freight and amenity transportation offer sustainable solutions that cut pollution and enhance quality of life for city workers and residents. EverExceed’s Li-ion technology has important advantages over lead-acid batteries when powering electric warehouse forklift trucks and AGVs. These include: opportunity and fast charging, higher energy efficiency, longer cycle life and reduced maintenance. 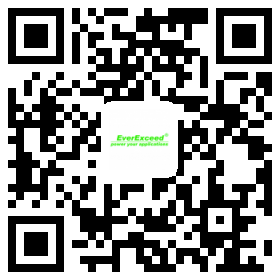 Also, EverExceed’s Li-ion eliminates the frequent water topping up and thus reduces associated mainenance costs. Industrial vehicles, such as mining and farm trucks, are now integrating hybrid functions for specific environments where electric motors bring major benefits over internal combustion engines. Electrified Ground Support Equipment (GSE) is also particularly attractive for airports and seaports that are under growing pressure to reduce CO2 emissions, fuel consumption and noise. EverExceed is the pioneer supplier of hybrid Li-ion energy storage systems for military programs, electric / hybrid vehicles, UPS, telecoms and storage for renewable energies applications. EverExceed has over 30 year experience in the development and volume delivery of lead acid, nickel-based and lithium-ion (Li-ion) batteries for electric and hybrid vehicles. Numerous customers applications rely on EverExceed’s Li-ion systems performances to achieve their energy saving objectives, to reduce noise and CO2 footprint, to limit maintenance, all leading to deliver a reduced overall Total Cost of Ownership (TCO). Customers seeking innovations in their markets can rely on EverExceed’s unique technology platform and industrial know-how in Li-ion battery systems for the industrial hybrid and electric vehicle market. RoHS: Although batteries and accumulators are not within the scope of the RoHS directive, EverExceed has taken voluntary measures to ensure that the substances forbidden by RoHS are not present in the battery, with the exception of the electro-chemical core.